Life, can sometimes be stranger than fiction. Other times, it can be very wonky. Not just mine personally. Although, I have to say… lately… my personal life has been a little out of the ordinary. Nonetheless. I am talking about the BIG picture here. Things on the BIG Blue Ball are feeling out of sorts. Violent attacks are taking place globally, sometimes on a very large scale, and other times, in smaller sequences. It all just feels a bit tense, and totally sideways. Injustices, hatred, cruelty. What can we do? Little me. Little you. I mean, it all seems very disproportionate and out of our hands. Like… we just have to sit and watch it happen. But I suggest that we don’t have to let it all transpire, without our intervention. I think…. when I put on my big old heavy Thinking Cap, the one with the pink flowers and the whirly gig on top…. that we CAN do something. Again, I bring up energy as our life force. We are made of energy, as is everything else in the world. And what is the best way to dispense of the bad energy? By creating more good. And that is my personal intention. IN my own life, I am going to try to produce more good energy than bad. By a lot. I am intent on staying in the positive, compassionate, loving energy. That is my focus. Perhaps, if ten people were to do this.. for every one person that is focused on negative… we would create a big bunch of good. Enough to out weigh the bad. Here are some supporting facts…. Studies show that babies carefully choose whether to imitate an adult’s actions based on how credible they think the adult is. A San Francisco Highway Patrol Officer called Kevin Briggs, has talked around 200 people out of suicide on the Golden Gate Bridge since 1994. Be Compassionate, with each beat. Finally… anyone can make a difference. 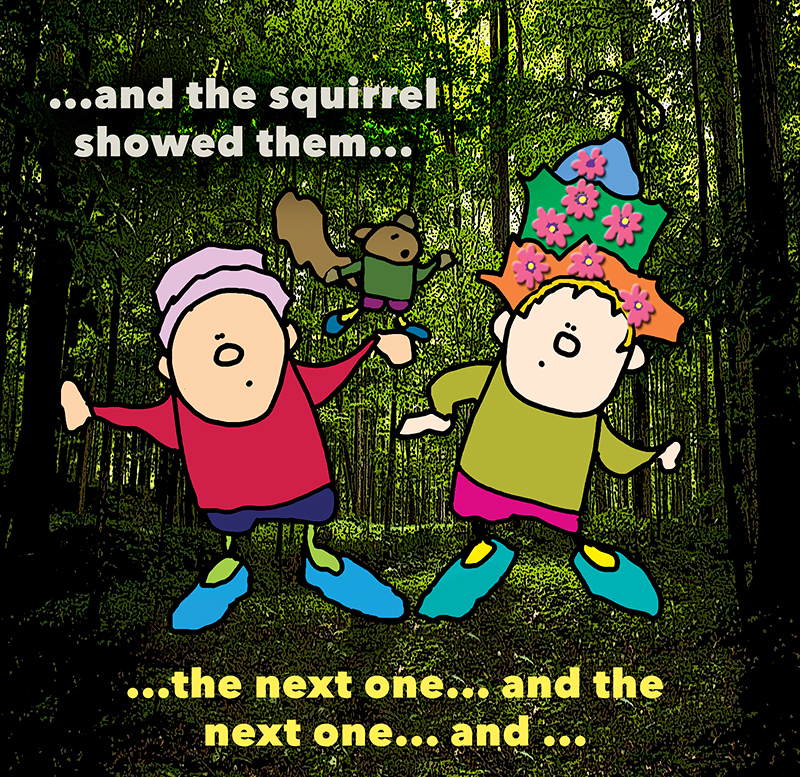 Scientists suggest and estimate that millions of trees are planted by forgetful squirrels. My question is… are the REALLY forgetful? OR are they doing this on purpose. Be FILLED with PURPOSE to do something GOOD. It’s not nutty. It’s a plan.